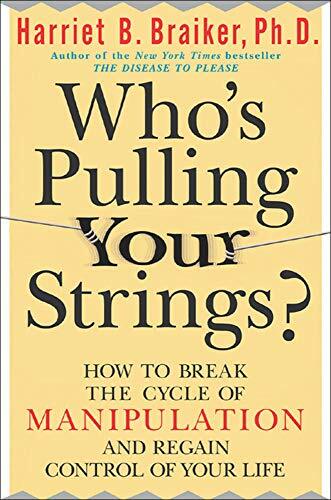 In Who's Pulling Your Strings?, Dr. Harriet B. Braiker, New York Times bestselling author of The Disease to Please, explains how depression, low self-esteem, anger, and feelings of helplessness can be caused by relationships with manipulative people. She exposes the most common methods of manipulators, and with the help of selfassessment quizzes, action plans, and how-to exercises, she helps you recognize and end the manipulative cycle for good. Dr. Harriet Braiker (Pasadena, CA), is a practicing psychologist for over 20 ears, is the author of several psychology books and has been a frequent guest on The Oprah Winfrey Show as well as many other national talk shows. Millions of people, both men and women, can become involved in relationships with manipulators--people who control through emotional manipulation, insults, and mind games. These "toxic" relationships erode self-esteem and make life miserable for the victim. Whether the manipulator is a relative, a spouse or romantic partner, a boss, coworker, or subordinate, or even a trusted friend or advisor, Dr. Harriet B. Braiker, bestselling author of The Disease to Please, shows you how to break this damaging cycle for good. With insight, compassionate advice, and self-affirming strategies, Dr. Braiker helps you end any manipulative relationship and regain control of your life--starting right now. 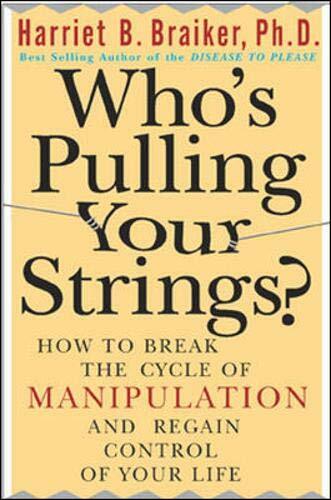 5. Who's Pulling Your Strings?